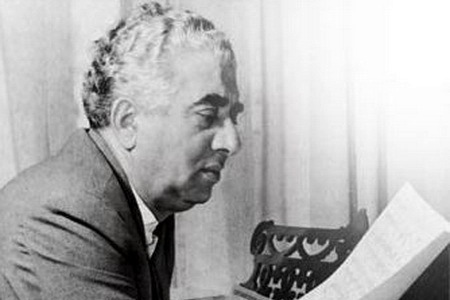 Aram Khachaturyan was an outstanding Armenian music composer, conductor, founder of Armenian national symphonic music and one of the patriarchs of Armenian classical music. The Museum was founded in 1984. The museum building, designed by architects E. Altunyan and M. Grigoryan, consists of the memorial containing personal belongings of the composer, an exhibition hall displaying items related to his musical and social life, a concert hall that hosts symposia and concerts, and a research center containing manuscripts, documents, printed scores, books, etc. 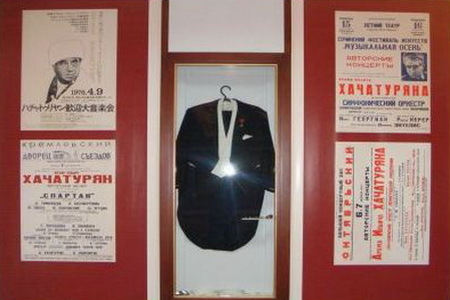 The Museum has about 18 thousand items collected from 55 countries. 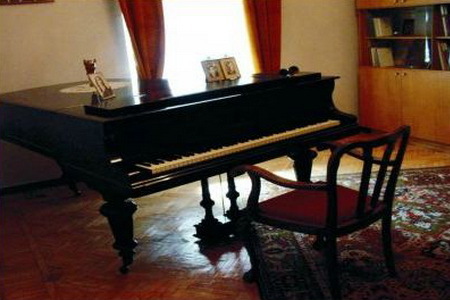 The record library contains 3,500 CDs donated to the museum by Canadian Armenian Harmik Grigoryan, and 350 tapes provided by the Embassy of France. 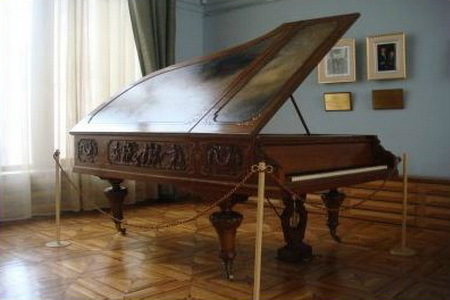 The Museum is one of the main centers of research on Khachaturyans work.